Register HERE for your free SME news update. To pay: scroll down for the different options. This is your own unique tax know how and update service. We trawl the web, new tax legislation, the tax press and case law and provide a suite of Practical Tax Guides to answer your key FAQs. We create Client Briefings and also provide you with those highly valuable CPD updates on SME Tax (both for Small Business and Companies), Property Tax, Capital Taxes and VAT. We also bring you the latest SME tax news and summaries of case law. Our guides are constantly monitored and maintained. We create webinars for structured CPD: 'CPD for lunch' bite-sized chunks in 20 to 30 minute modules. See the CPD tab on the top menu bar. You can commission guides, ask questions and develop your content. Our website ranks higher than any of the leading tax magazines. We don't blot your screen with advertising. 9 out of 10 subscribers renew EVERY year (those who leave tend to leave only because they retire from practice). Recommendations: "An immensely useful resource"... "My only question is - why did we not subscribe before..." read more of what subscribers have to say about the webservice. We have a range of different pricing plans: all prices are quoted excluding VAT. We try very hard to be fair and transparent in our pricing policy: please contact us if you do not understand. Please note, as stated in our terms and conditions, the subscription period is for a minimum of 12 months when paying by instalments. We reserve the right to collect any unpaid instalments unless agreed in advance. One-off annual subscription payments are non-refundable, except under exceptional circumstances. If paying by PayPal or GoCardless, login details will be sent to the email address associated with your payment as soon as we have completed some basic checks. Please check your spam folder if the login email doesn't reach your inbox. A sole practitioner means a sole practitioner practising accountant or adviser (i.e. an individual in practice on their own, as a sole trader or as a single fee earner director in their company), working from a single office firm. A workplace or space (whether permanent or temporary or virtual) accommodating no more than ten people. If your office accommodates more than ten people contact us for pricing. 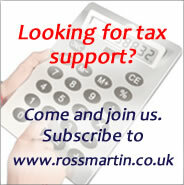 (3) Multi-partner/director firms* the annual cost** is by adding £125 + VAT per partner, or £12 + VAT if by instalment. *More than one partner, member, fee earning directors (or equivalent roles): accountants or advisers or lawyers. ** If you have more than 10 partners/directors (or equivalent roles) or your firm is within the Accountancy Age Top 100, please contact us for pricing, as we offer variable pricing depending on the number of partners or directors in your business, non-tax partners, number of offices etc. * Directors and Sole trader rates: these apply to anyone running their own business who is not in a business that is either advising, training, publishing or selling to clients in tax, accounting or related activities, who is not an accountant or lawyer. Subscription (full user) what do I get? You can also suggest and commission articles and briefings. If paying by PayPal or GoCardless, login details will be sent to the email address associated with your payment. Please check your spam folder if the login email doesn't reach your inbox. Need assistance with a subscription? Our magazine is printed matter and not subject to VAT. Think about the cost savings you make if you chose us. How much is a tax technical partner worth? Our service costs less than £1 per day. We are able to keep the prices down because we sell to a large number of practices and we do this (hands on hearts) to support the little guys.